In this unit, we will take a look at the geographical impact of South, East, and Pacific Asia. We will analyze how this part of the world has influenced life around the globe. To begin, we will take a look at the physical geography and history of India and its bordering countries. Next we will look at how various factors have shaped the the cultures of China, Mongolia, and Taiwan. We will also analyze how the early history of Japan and Korea was influenced by China. 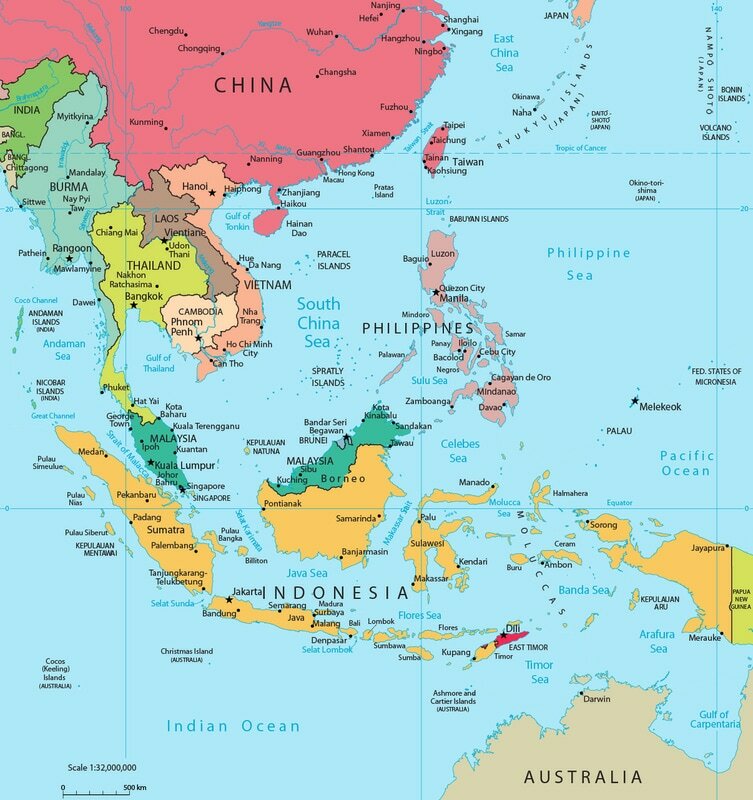 As we end the unit, students will understand how Southeast Asia is comprised of both mainland and island countries and come away with an enduring understanding of the region. How do the physical geography, history, and culture of the countries of South and East Asia affect people's everyday lives? What are the various differences between the economies and way of life for people living in the countries of the Indian Subcontinent, China, Taiwan, Mongolia, Japan, North and South Korea? What are the major environmental issues facing South and East Asia today? The countries of South and East Asia feature diverse blends of traditional and modern cultures, highly developed and developing economies, as well as a vast range of climates and resources.